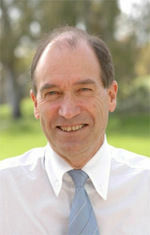 Geoffrey Fincher was made an Officer of the Order of Australia (AO) distinguished service to science, and to education, in the area of plant genomics, as an academic, researcher and administrator. He graduated from the University of Melbourne with a Bachelor of Agricultural Science in 1968 and a PhD from the University’s Faculty of Medicine in 1973. Professor Fincher’s research grew scientific knowledge of plant cell biochemistry, including how cereal grains develop and the impact of this processes on both food processes and human health. He showed that increasing fibre intake can reduce the risk of diabetes, colorectal cancer and cardiovascular disease. Professor Fincher is also a Fellow of Australian Academy of Science and former director of the ARC Centre of Excellence in Plant Cell Walls and Professor in Plant Science at the University of Adelaide. 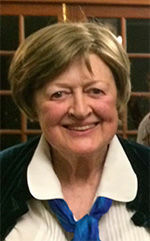 Helen Jones was made a Member of the Order of Australia (AM) for her service to veterinary science and animal welfare as a clinician and educator, and as a mentor to women in the profession. She earned her Bachelor of Veterinary Science from the University of Melbourne in 1968. She was made the first female president of the Australian Veterinary Association in 1982, and had held a number of senior leadership roles in the Australian veterinary profession, animal welfare, community support and international volunteering. She held academic roles at Curtin University 1977-2009, where she was Associate Professor in Public Health and Dean of International Programs.